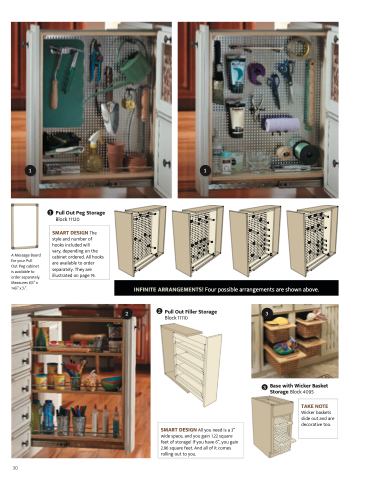 Out Peg cabinet is available to order separately. Measures 85/8”x 141/8”x 1/2”. INFINITE ARRANGEMENTS! Four possible arrangements are shown above. of hooks included will vary, depending on the cabinet ordered. All hooks are available to order separately. They are illustrated on page 19. Wicker baskets slide out and are decorative too.